Our Aquaid team based in Gloucester can deliver water coolers and dispensers straight to your door. We supply both mains fed and bottled water coolers to offices, homes and schools in Gloucester and nearby areas. When you use our services we donate money to provide water to many others in third world countries. We pride ourselves on offering a friendly and professional service every time we deliver. Bottled water is delivered fortnightly as standard, but we are happy to offer free guaranteed next day water delivery. Gloucester, Cheltenham, Cirencester, Tewkesbury, Stroud, Stow, Coleford, Lydney. In an increasingly competitive world, businesses have to ensure they get best value from their staff to remain competitive. 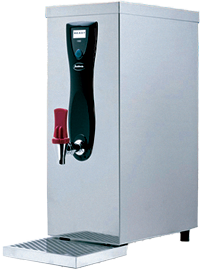 In that respect, having a water dispenser or water cooler, whether of the mains fed type or the bottle-fed type, is essential. A recent survey conducted by Connecticut University showed that a 1-2% dehydration can lead to as much as a 20% drop in concentration levels, directly impacting staff’s ability to perform and as a result, a company’s profit. Please see Are you hydrated? for further details. Why use our Bottle fed water coolers?